It is an emotional day as Americans face a new set of incidences where black men have been killed by the Police for no just cause. In these 2 cases, the deaths were caught on video. Alton Sterling was shot and killed by officers while selling CDs in front of a convenience store in Baton Rouge, Louisiana on Tuesday morning. Philando Castile died after he was shot on Wednesday. He had been pulled over by Police in the St. Paul suburb of Falcon Heights, Minnesota. 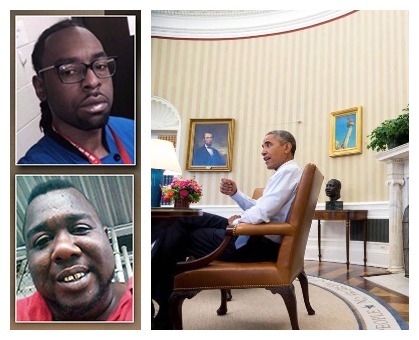 Now, President Obama has released a statement on the matter. All Americans should be deeply troubled by the fatal shootings of Alton Sterling in Baton Rouge, Louisiana and Philando Castile in Falcon Heights, Minnesota. We’ve seen such tragedies far too many times, and our hearts go out to the families and communities who’ve suffered such a painful loss. But regardless of the outcome of such investigations, what’s clear is that these fatal shootings are not isolated incidents. They are symptomatic of the broader challenges within our criminal justice system, the racial disparities that appear across the system year after year, and the resulting lack of trust that exists between law enforcement and too many of the communities they serve. To admit we’ve got a serious problem in no way contradicts our respect and appreciation for the vast majority of police officers who put their lives on the line to protect us every single day. It is to say that, as a nation, we can and must do better to institute the best practices that reduce the appearance or reality of racial bias in law enforcement. That’s why, two years ago, I set up a Task Force on 21st Century Policing that convened police officers, community leaders, and activists. Together, they came up with detailed recommendations on how to improve community policing. So even as officials continue to look into this week’s tragic shootings, we also need communities to address the underlying fissures that lead to these incidents, and to implement those ideas that can make a difference. That’s how we’ll keep our communities safe. And that’s how we can start restoring confidence that all people in this great nation are equal before the law. In the meantime, all Americans should recognize the anger, frustration, and grief that so many Americans are feeling — feelings that are being expressed in peaceful protests and vigils. Michelle and I share those feelings. Rather than fall into a predictable pattern of division and political posturing, let’s reflect on what we can do better. Let’s come together as a nation, and keep faith with one another, in order to ensure a future where all of our children know that their lives matter.